Born in Rotterdam, Netherlands, Edsger Dijkstra studied theoretical physics at Leiden University, but he quickly realized he was more interested in computer science. Originally employed by the Mathematisch Centrum in Amsterdam, he held a professorship at the Eindhoven University of Technology in the Netherlands, worked as a research fellow for Burroughs Corporation in the early 1970s, and later held the Schlumberger Centennial Chair in Computer Sciences at The University of Texas at Austin, in the United States. He retired in 2000. Among his contributions to computer science is the shortest path-algorithm, also known as Dijkstra’s algorithm; Reverse Polish Notation and related Shunting yard algorithm; the THE multiprogramming system; Banker’s algorithm; and the semaphore construct for coordinating multiple processors and programs. Another concept due to Dijkstra in the field of distributed computing is that of self-stabilization – an alternative way to ensure the reliability of the system. Dijkstra’s algorithm is used in SPF, Shortest Path First, which is used in the routing protocol OSPF, Open Shortest Path First. While he had programmed extensively in machine code in the 1950s, he was known for his low opinion of the GOTO statement in computer programming, writing a paper in 1965, and culminating in the 1968 article “A Case against the GO TO Statement” (EWD215), regarded as a major step towards the widespread deprecation of the GOTO statement and its effective replacement by structured control constructs, such as the while loop. This methodology was also called structured programming, the title of his 1972 book, coauthored with C.A.R. Hoare and Ole-Johan Dahl. The March 1968 ACM letter’s famous title, “Go To Statement Considered Harmful,” was not the work of Dijkstra, but of Niklaus Wirth, then editor of Communications of the ACM. He is famed for coining the popular programming phrase “2 or more, use a for”, alluding to the fact that when you find yourself processing more than one instance of a data structure, it is time to encapsulate that logic inside a loop. From the 1970s, Dijkstra’s chief interest was formal verification. The prevailing opinion at the time was that one should first write a program and then provide a mathematical proof of correctness. 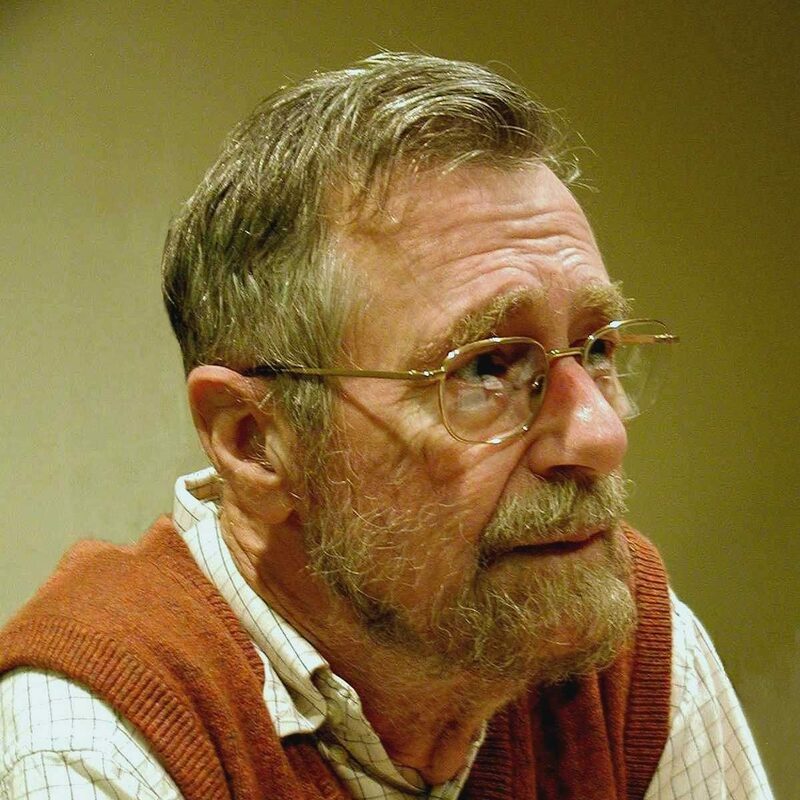 Dijkstra objected noting that the resulting proofs are long and cumbersome, and that the proof gives no insight as to how the program was developed. An alternative method is program derivation, to “develop proof and program hand in hand.” One starts with a mathematical specification of what a program is supposed to do and applies mathematical transformations to the specification until it is turned into a program that can be executed. The resulting program is then known to be correct by construction. Much of Dijkstra’s later work concerns ways to streamline mathematical argument. In a 2001 interview he stated a desire for “elegance”, whereby the correct approach would be to process thoughts mentally, rather than attempt to render them until they are complete. The analogy he made was to contrast the compositional approaches of Mozart and Beethoven. Dijkstra was one of the very early pioneers of the research on distributed computing. Some people even consider some of his papers to be those that established the field. In particular, his paper “Self-stabilizing Systems in Spite of Distributed Control” started the sub-field of self-stabilization. He died in Nuenen, The Netherlands on August 6, 2002 after a long struggle with cancer. The following year, the ACM (Association for Computing Machinery) PODC Influential Paper Award in distributed computing was renamed the Dijkstra Prize in his honour.